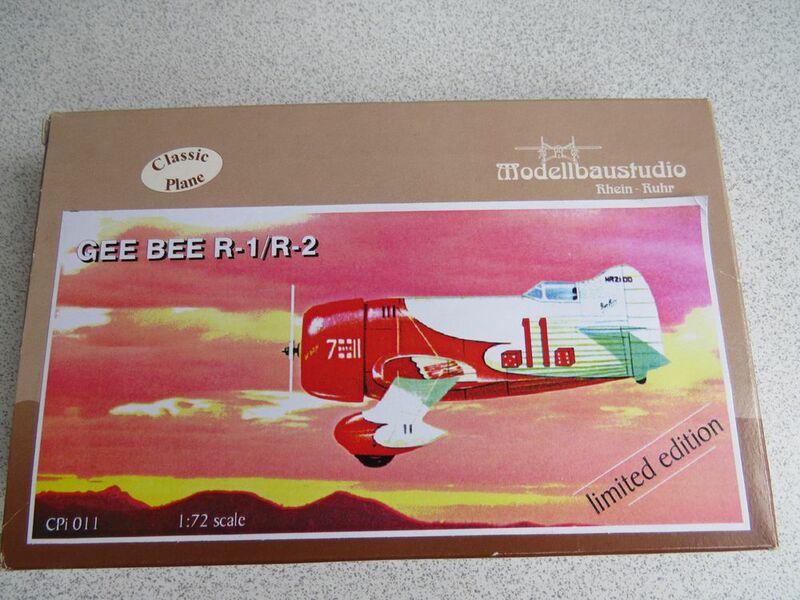 found this future release, another "WHIF in a box"
Did anyone do a decent 1/72 GeeBee R-1 ever? I know Merlin tried to, but it was a total joke! 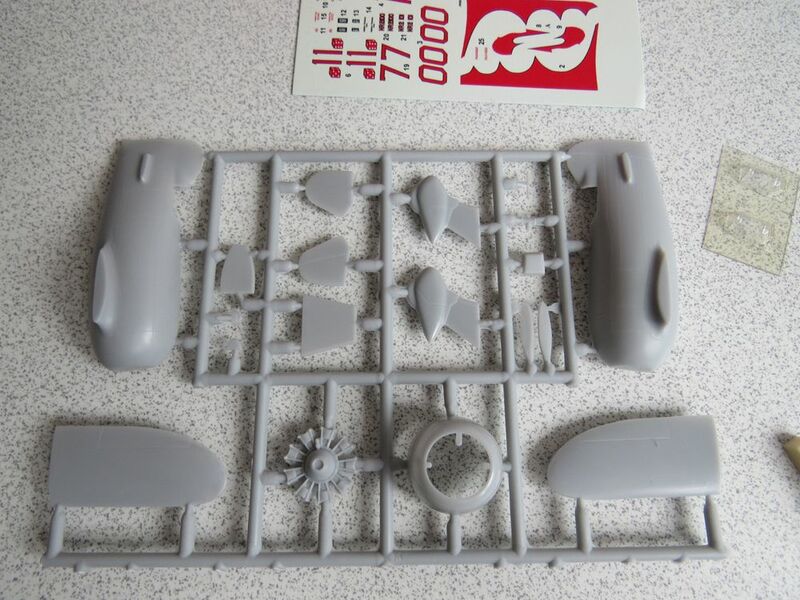 It came as a double kit with their Heston Racer at one time, and I still have the Heston un-built. Yet another one that NEEDS to be done! 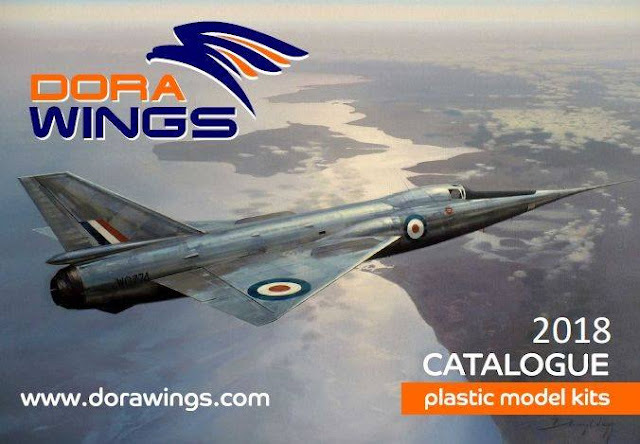 Yes, ClassicPlane did one, and while I have not built it yet, it looks OK.
One resin propeller, if you do not want to build up the parts of the plastic one. 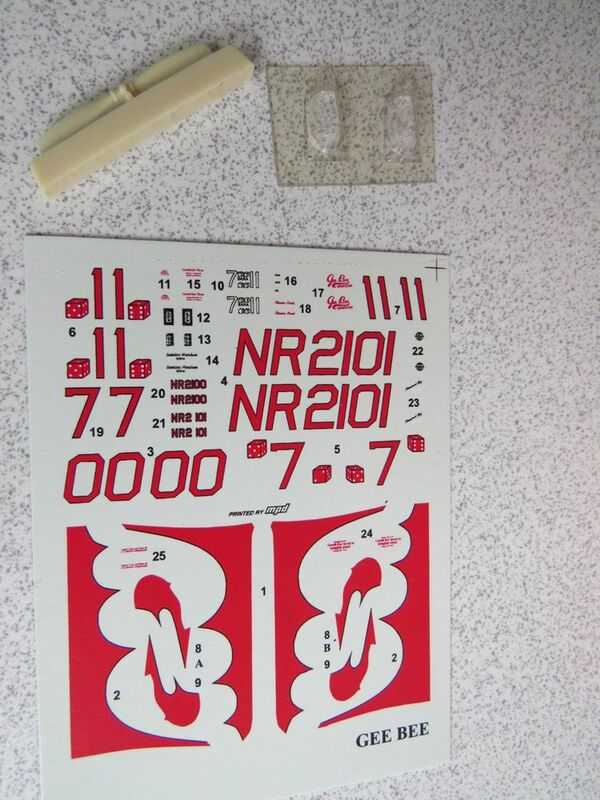 One very nice transfer sheet. The only thing you do not get is an actual instruction sheet. I think I could live without that, building an R-1 would be pretty intrinsic. 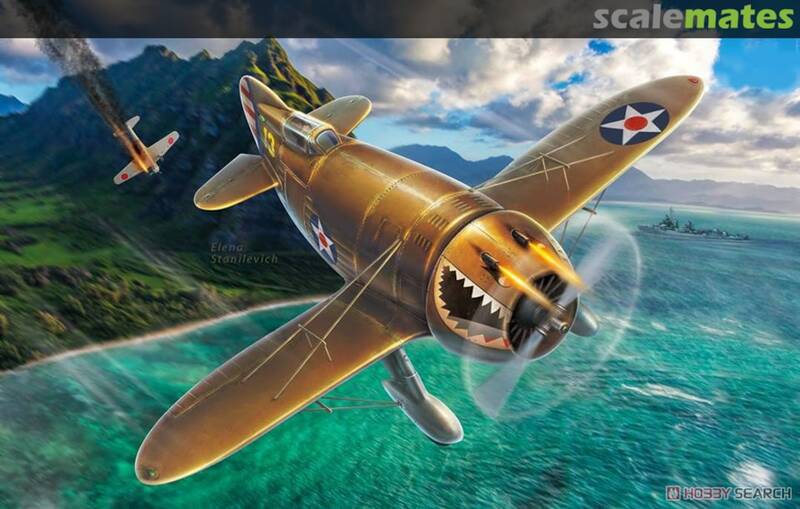 It'd go well with the Heston, the Me-209 and that weird Japanese thingie that looks like a -209. 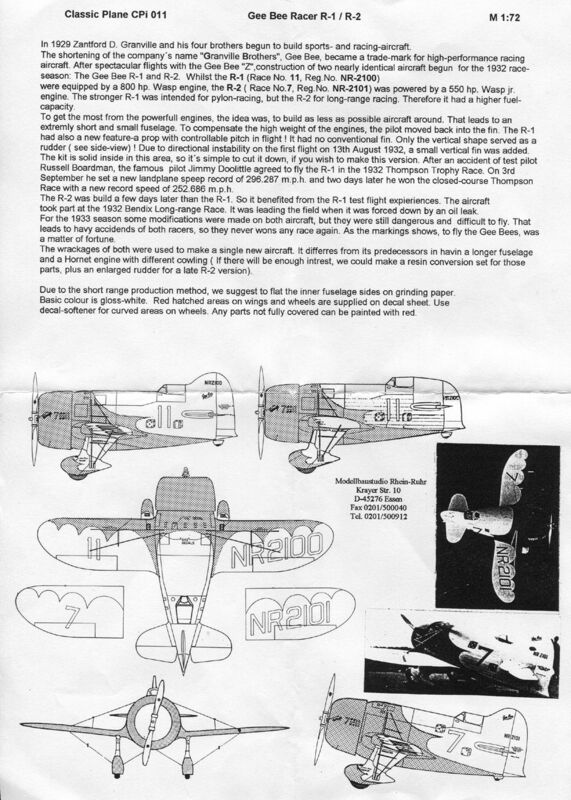 Ki-78 or some other design? Yes, that's the one. Well worked out. I bought a kit of it a little while ago, not too bad at all. 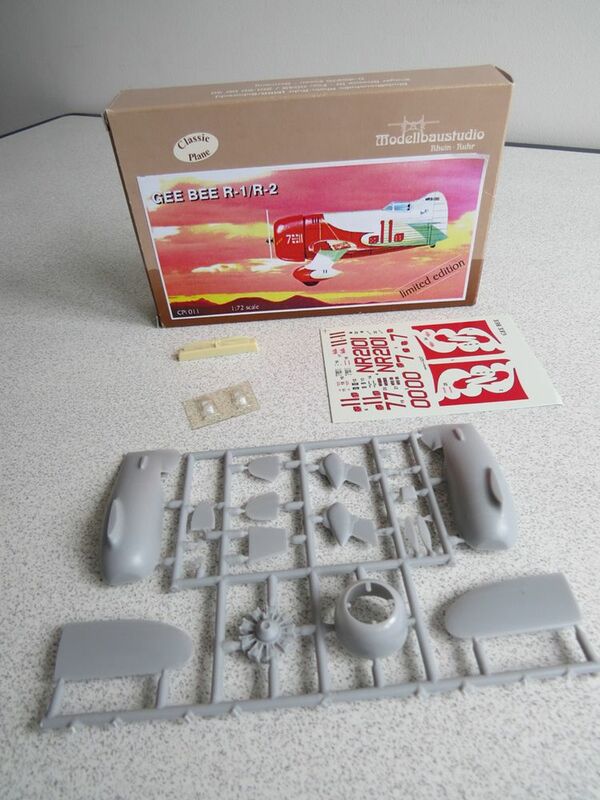 Oooh, thanks H, I'd never have thought of A Model as a candidate to make a GeeBee.